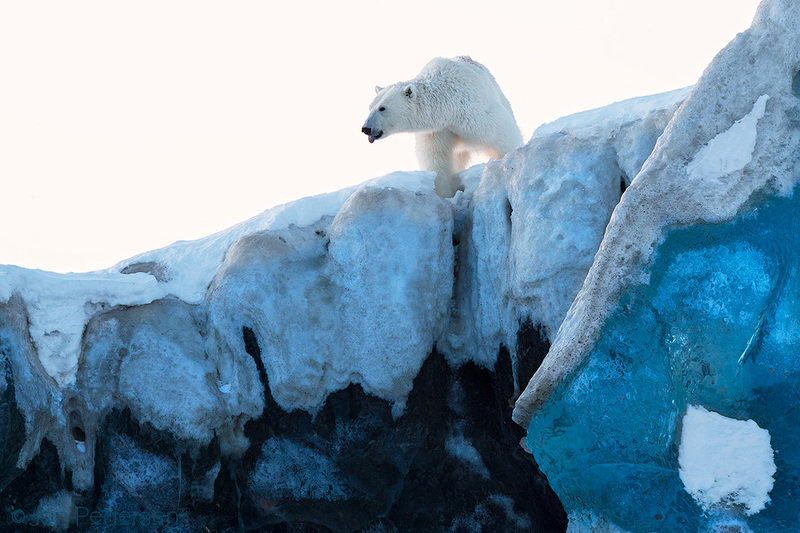 Sneak peek from our recent Polar Bear expedition with skidoos to eastern Spitsbergen/Svalbard. It was a hilarious tour with mating polar bears on the first night of midnight sun - in backlight, us lying and shooting from the packed sea-ice. When the mating was finished the female came close to investigate and climbed the nearest iceberg to have a better a view of us - standing right under. With the grant of National Geographic Society, the best guide Jens Abild and a good companion Tommy Pedersen.